Plants are a large portion of a healthy diet. Fruits, vegetables, and whole grains provide your body with essential nutrition and nourishment. Loaded with vitamins and minerals, these food groups play an active role in keeping you healthy. But your favorite produce has more to offer than meets the eye. Plants are packed with powerful compounds called phytonutrients. These plant chemical compounds can promote and maintain good health. But your body can’t make these important nutrients. So it needs a reliable source of these plant compounds. Eating a variety of plant-based foods can help supplement your diet with the phytonutrients your body needs. A well-rounded diet can provide you with dozens of phytonutrients. And each performs a specialized role in the plants they’re derived from—and in your body. Antioxidant ability is one of the most important functions of phytonutrients. These plant compounds also help protect your eyes, maintain a healthy immune system, and help facilitate cell signaling. Phytonutrients are interesting, important, and valuable to your health. Understanding how phytonutrients work in the body requires a grasp of some new vocabulary. Learning the following terms will help you understand the importance and value of phytonutrients to your health. Phytonutrient: A chemical compound found in plants that has positive impacts on human health and nutrition. Phytonutrients can also be referred to as phytochemicals. Free Radicals: Any molecule containing an unpaired electron. Free radicals are very reactive and can trigger oxidation. Oxidant: These molecules contain oxygen and are highly reactive. They easily react with other molecules changing their chemical nature. These changes can ultimately become toxic to the cell. Antioxidant: A molecule that slows or reduces the damage done to an organism by free radicals and other oxidants. Antioxidants help prevent a chemical reaction called oxidation from occurring. They do this by neutralizing unpaired electrons on potentially dangerous molecules. Carotenoids: A class of naturally occurring plant pigments. 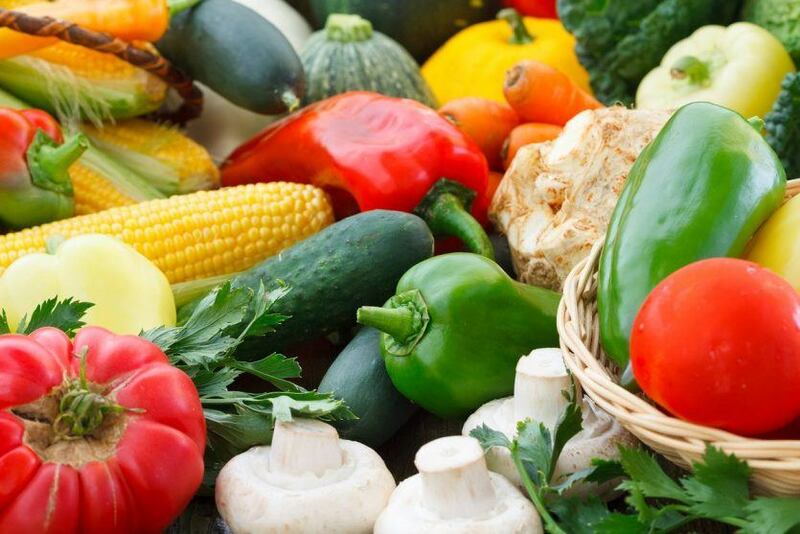 Carotenoids produce red, orange, and yellow color in fruits and vegetables. These phytonutrients protect plants from oxidative damage. Polyphenols: These phytonutrients are concentrated in the leaf tissue of plants. They deter predators and help keep plants healthy. Polyphenols are the largest class of antioxidants in your diet. Bioflavonoids: Bioflavonoids are a subcategory of polyphenols. They share the same function in plants, but differ in chemical structure. Bioflavonoids contain unique chemical signatures, like ketones and alcohol groups (carbon-oxygen double bond and oxygen-hydrogen single bond, respectively). In plants, phytonutrients act as pigments, giving fruits and vegetables their vibrant color. They also protect, fortify, and strengthen healthy plants. But these compounds can also play a role in helping maintain your health. Phytonutrients act as antioxidants, helping protect your body from free radicals. Your body needs to maintain a balance of oxidants (free radicals, etc.) and unreactive molecules. When this balance shifts in favor of oxidants, damage can be done to your healthy cells. These plant compounds help neutralize oxidants and help maintain that healthy balance. They do this neutralizing unpaired electrons on potentially dangerous molecules. This chemical interaction stabilizes the oxidant and keeps oxidative damage from taking place. Below, you’ll find information about some of the major classes of phytonutrients and examples of each. Although they may differ in structure, each phytonutrient works for the same goal: reducing oxidative damage and protecting your health. Photosynthetic bacteria, algae, and plants produce more than 750 pigments called carotenoids. Carotenoids help protect the plant from harmful wavelengths of light so plants can use the sun for energy. These pigments also protect the photosynthetic portions of plant cells. This class of phytonutrient is the source of the bright red, orange, and yellow colors of fruits and vegetables. Carotenoids are powerful antioxidants and are critical in protecting your eye health and helping facilitate smooth cellular communication. Beta-carotene is probably the most well-known carotenoid and phytonutrient. It is a precursor to vitamin A. Since your body can’t make vitamin A, you need a provitamin like beta-carotene in your diet. So your body can turn it into vitamin A when it needs. Beta-carotene is converted to vitamin A in the body and supports healthy eyes. This conversion is accomplished in the duodenum (the first part of your small intestine) when intestinal enzymes split beta-carotene into two active vitamin A molecules called retinal. That’s the usable form of vitamin A in the body. And it’s involved in many complex processes in your body. These three carotenoids also help maintain eye health. But they work differently than beta-carotene. Light entering your eye is focused on the retina and filtered by cells in your eye called rods and cones. The chemical structures of lycopene, lutein, and zeaxanthin allow them to absorb light, too. These pigments specifically absorb blue light, which has been shown to cause light-induced oxidative damage. But that’s not all these phytonutrients do. Carotenoids like those listed above help your body’s cell signaling be more efficient and reliable. How do they do it? Carotenoids stimulate the manufacture of proteins called connexins. These proteins help neighboring cells exchange information, faster. Polyphenols have a distinctive shape and a name that describes their chemical makeup. To understand them a bit more, let’s dive deep into the chemistry. Chemical compounds come in all shapes and a variety of unique organizations. The order and placement of atoms in each molecule determine its function. Polyphenols are made primarily of two kinds of atom patterns: benzene rings and alcohol groups. Benzene rings are cyclical chemical rings made of carbon and hydrogen with alternating double bonds. Alcohol groups consist of oxygen and hydrogen attached to another atom, like carbon. Together, one benzene ring plus one alcohol group equals one phenol. When multiple phenols are strung together, polyphenols are born. This chemical shape is important because it literally lets polyphenols absorb and neutralize extra electrons. Polyphenols are the most numerous antioxidants in your diet. They are known to promote cardiovascular health. Two polyphenols, resveratrol and curcumin, are especially important in a healthy diet and are key ingredients in dietary supplements. Resveratrol is an antioxidant polyphenol found commonly in your diet. You can find it in peanuts, berries, grapes, and red wine. The positive effects of resveratrol have only recently been uncovered. In the 1990s, scientist stumbled upon resveratrol while studying the health benefits associated with red-wine consumption. For many years the diets of French people had been under scrutiny. The French regularly eat foods high in saturated fats, yet they have healthy hearts and blood vessels. They also consume large amounts of wine. This phenomenon is referred to as the “French paradox.” After resveratrol was discovered in red wine, researchers took a closer look to see if it could help explain these paradoxical observations. By itself, resveratrol is great at tackling free radicals and other reactive oxygen species. But it also supports the function of other important molecules. 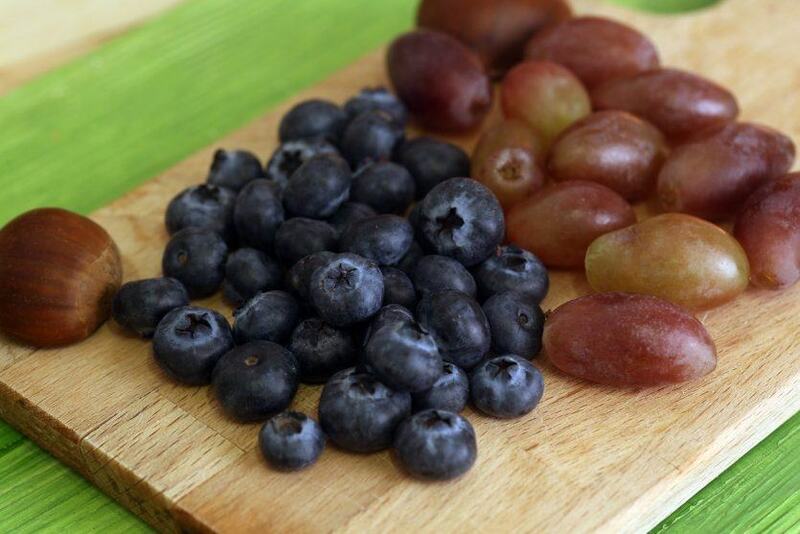 Glutathione, one of the most ubiquitous molecules in your body, pairs up with resveratrol to help protect your cells from oxidative damage, which helps maintain healthy cell function. Since grapes contain both resveratrol (found primarily in grape skins) and grape seed extract, the function of these two phytonutrients are very similar. Grape seed extract comes from, you guessed it, grape seeds. It is a powerful antioxidant and supports cardiovascular health. Circulatory system benefits come from the phytonutrient’s ability to help the body maintain healthy blood pressure already in the normal range. This is done by supporting the healthy function of venous pumps, which help blood return to the heart. If you enjoy tropical cuisine, get excited. Because some of your favorite foods are loaded with phytonutrients. Curcumin is a polyphenolic compound making waves in human nutrition. This phytonutrient has demonstrated the ability to support healthy brain and joint function. Curcumin is found in turmeric, a spice derived from the roots of the tropical plant Curcuma longa Linn. Turmeric adds bright yellow-orange color to cooking. This vibrant polyphenol has been used for medicinal purposes in India for centuries. And new scientific research is adding credence to its ancient claims. A lot of the benefits come from curcumin’s ability to behave like an antioxidant. But it also disrupts the route of cytokines and enzymes like cyclooxygenase. That’s how curcumin helps maintain healthy joint function. The brain-health support provided by curcumin is achieved in a different way. As a result of aging, memory can be effected by the build-up of “junk” or “plaques” in the brain. Plaques are clumps of protein that stick to brain tissue and interrupt cell signaling. Curcumin has been shown to help dismantle those plaques and makes it harder for them to form. This phytonutrient has also been show to support brain-cell growth and maintain healthy cognitive function and memory. Green tea is enjoyed by millions of people every day. But there is more to the drink than a natural energy boost. Green tea extract may help maintain a healthy weight. Green tea extract is natural source of caffeine and it’s full of polyphenols. This phytonutrient has been shown to increase the energy your body uses every day. And using more energy makes reaching a healthy weight more manageable. Here’s how it works. Green tea extract supports the action of norepinephrine, the neurotransmitter that regulates heat production and fat oxidation. The polyphenol also oxidizes fat cells and increases the rate at which your body uses energy. This increase in metabolism creates heat and burns fat—all without significant impact on your heart rate. 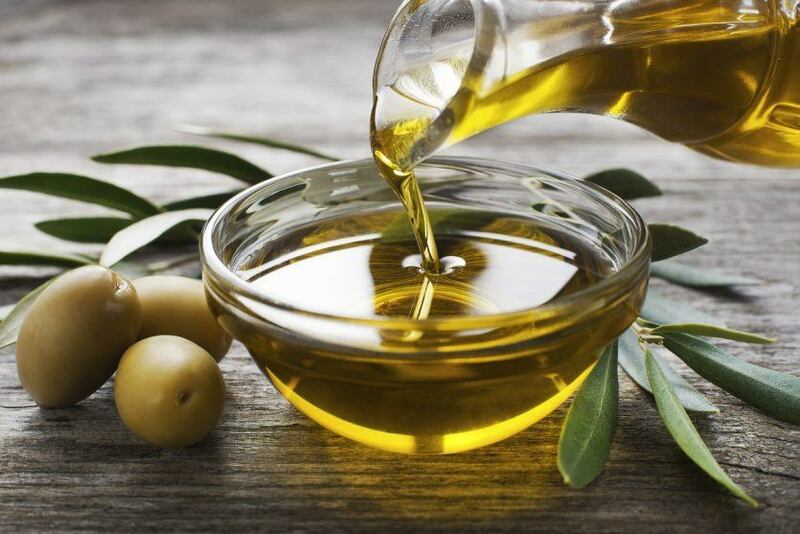 Olive fruit extract and other olive-derived compounds work primarily as antioxidants. They protect the body from unhealthy oxidation. That’s how olive fruit extract reduces the toxic chemicals that lead to redness and irritation. Glutathione function is also stimulated by olive fruit extract. Olive fruit extract and glutathione work together to destroy free-radicals and keep oxidative stress at bay. This polyphenol also promotes healthy circulation which also helps supports heart function. That’s because healthy arteries help maintain normal blood pressure and promote general well-being. Bioflavonoids (also known as flavonoids) are a special category of polyphenols. They are further categorized by their chemical structure. And there are hundreds of plant-derived bioflavonoids that work to keep you healthy and strong. Like other phytonutrients, bioflavonoids are primarily antioxidants. But they can also help protect the liver, maintain brain health, and more. In addition, bioflavonoids can be useful in maintaining normal hormone levels. 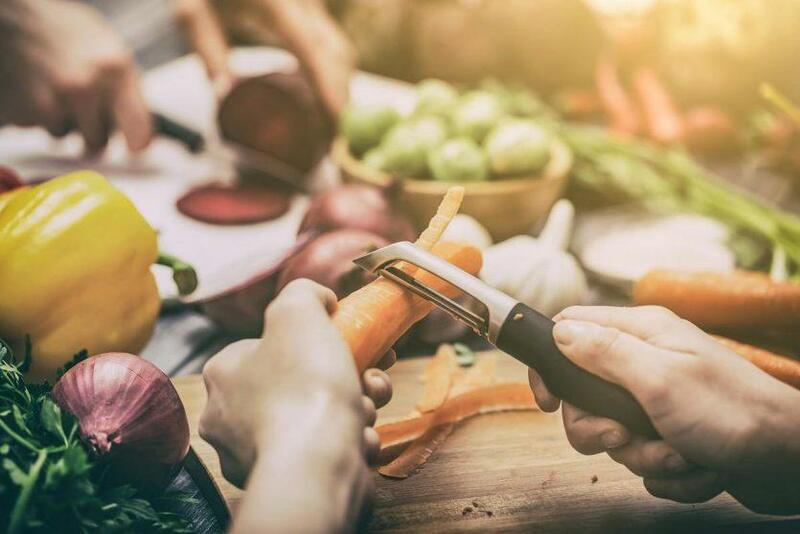 Quercetin and rutin belong to a group of bioflavonoids called flavonols. This category of bioflavonoid is unique because of the position of alcohol groups in its chemical structure. Flavonols—like quercetin and rutin—interrupt signals between hormones and promote normal hormone interaction. Quercetin and rutin also provide support to your liver. They work together to assist in a natural process that promotes toxin excretion in the urine. Hesperidin falls into the bioflavonoid category of flavanones. These compounds are distinguished by the oxygen-carbon double bond in their chemical arrangement. Hesperidin and other flavanones act as antioxidants that protect the brain. These antioxidants function like curcumin—which is mentioned in the polyphenols section above. Hesperidin can help preserve brain function by fighting against plaque formation. These protein build-ups interfere with brain cell communication. By optimizing brain health and protecting against age-related memory loss, hesperidin and other flavanones help maintain healthy cognitive function. Flavanones have also demonstrated abilities to support your immune system and help keep you healthy. Your body needs adequate amounts of phytonutrients to maintain its fitness. But there are other important molecules and chemical compounds necessary for health that can be found in a proper diet. For detoxification and healthy digestion, the following compounds are critical. Cysteine is an amino acid necessary for building that all-important detox molecule, glutathione. Getting cysteine in your diet is easier than your think. It’s available in a lot of animal protein. But there’s several plant sources. So all you have to do is just add garlic. Whole garlic cloves are brimming with a molecule called alliin. It contains the cysteine needed to help produce the glutathione your body needs. But alliin is trapped inside. Crushing, chopping, and chewing garlic releases alliinase. The protein alliinase frees alliin making it available for our bodies to absorb. Once absorbed, our bodies release the cysteine from alliin making it available for use. One use is glutathione production. Cysteine increases the concentration of glutathione in the body and puts it to work detoxing foreign chemicals and cleaning up free-radical damage. Glutathione relies on alpha-lipoic acid for help in the detoxification process. But your body also needs this antioxidant for helping to maintain normal blood sugar—provided it’s already in the normal range to begin with. Alpha-lipoic acid does this by increasing glucose’s sensitivity to insulin. This helps maintain your metabolic health. Fiber is crucial for healthy and comfortable digestion. 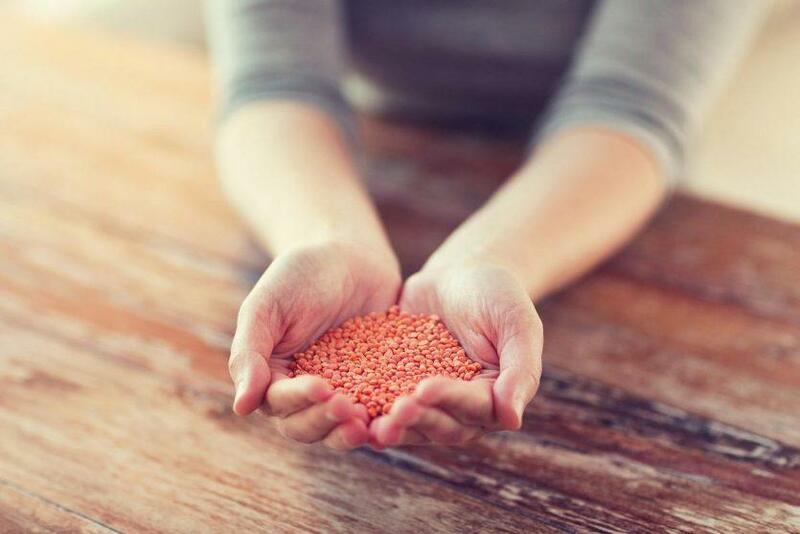 Plants are full of fiber and carbohydrates geared towards making digestion easier. Increasing fiber can help your body make better use of the sugars in your food. Fiber also softens stool and can help relieve occasional constipation—one of the more uncomfortable side effects of poor digestion. Growing evidence suggests that high-fiber diets help in weight control. Fiber-rich foods can prolong the feeling of fullness after a meal. This full feeling keeps the need for mindless snacking in check and can lower the amount of unhealthy food consumed. High-fiber foods also generally provide more nutrition than their low-fiber counterparts. By filling your belly with a fiber-rich meal, you can get better nutrition to your body and help maintain a healthy weight. Phytonutrients are already in your diet. Your just need to know where to look. Colorful fruits and vegetables are excellent sources of carotenoids. Dark green and leafy veggies are rich in bioflavonoids. Phytonutrients are also hiding in some of your favorite beverages—namely red wine and green tea. And even the best diets may fall short. So use your healthy diet as a foundation of phytonutrients and consider adding supplementation to get everything you need to live your best, healthiest life.